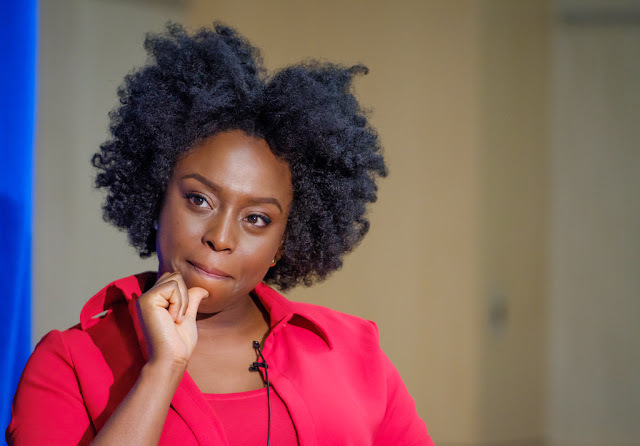 Nigerian author, Chimamanda Ngozi Adichie, has said that she feels sorry for men because they can’t have the experience of giving birth. She said this during an interview with online entertainment publication, Vulture, where she spoke about how motherhood has affected her writing career. “My baby happened, and it’s important to talk honestly about this, because having her changed a lot. Having a child gets in the way of writing. It does. You can’t own your time the way you used to.